Although most all states passed seat belt laws with practically no opposition or fanfare, other vehicular safety laws have stirred more controversy, and motorcycle helmet laws are a good example. While there is little or no evidence on point, many riders, and some safety advocates, believe that motorcycle helmets are basically a wash. While they decrease the risk of, and severity of, head injuries, many believe that they also impair peripheral vision and hearing, thus increasing the risk of a serious crash. Florida’s helmet law tries to stake out the middle ground in this debate. Riders over 21 do not have to wear helmets provided that they have at least $10,000 of personal injury insurance coverage. What are some common legal issues surrounding motorcycle helmets in particular and motorcycle crashes in general? Returning briefly to seat belts, some states allow insurance company lawyers to argue that victims who weren’t properly restrained are responsible for their own injuries. Similarly, some states, particularly the ones with mandatory helmet laws, allow insurance company lawyers to argue that helmetless motorcycle crash victims are also responsible for their own injuries. For this reason, some riders believe that they are not eligible for compensation if they did not have a helmet on at the time of the crash. But in the Sunshine State, that is simply not true. Although it is now close to fifty years old, Rex Utilities v. Gaddy (1982) is still probably the last word on the subject, in terms of Florida law. In this case, a helmetless rider died after a driver hit a hidden utility trench and lost control of the vehicle, slamming into the motorcycle. The utility company claimed that it did not have to pay damages. However, the court ruled that in order to make this argument, the defendant must show that the lack of a helmet proximately caused the victim’s injuries. So, it is not enough to cite safety statistics about helmet use. Instead, the insurance company must present expert medical testimony which conclusively shows that, had the helmetless victim been wearing headgear, the victim’s injuries would have either been completely nullified or diminished by X percent. In many cases, the insurance company will not even bother hiring an expert, because they consider that move to be too costly. Even if the defendant tried to introduce such testimony, the victim’s attorney can discredit it using a variety of tactics. For example, many defense experts are little more than “hired guns” who repeatedly testify on behalf of insurance companies and against victims. Insurance companies face uphill battles in this area, because motorcycle riders are twenty-nine times more likely to die in car crashes. In a significant number of these wrecks, the tortfeasor (negligent driver) turns directly into the path of an oncoming motorcycle, or merges into the motorcycle rider’s lane without looking, so the crash is utterly unavoidable from the motorcycle rider’s perspective. In serious injury crashes, damages include compensation for economic losses, such as medical bills, and noneconomic losses, such as pain and suffering. 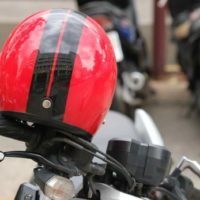 Lack of a helmet does not mean the end of a negligence claim. For a free consultation with an experienced personal injury lawyer in Brandon, contact Reed & Reed.